Having the ability and training of a very specialized general dentist has allowed me to change the lives of my patients. The training and education I received after dental school in the 2 year post graduate program from the University of Illinois College of Dentistry in Fixed Prosthodontics has been instrumental in ensuring successful outcomes for the patients that I treat. My areas of special interest range from the simplest of procedures to the most advanced and complex cases. I am rewarded daily when I get to place an invisible filling, veneer or crown on an unattractive tooth and see my patients’ responses to their newly restored mouths. I have been specially trained to diagnose and treat complex cases where more is at stake than a simple filling or missing tooth, but where a patient’s entire wellbeing has been compromised. My philosophy of practice is to treat every patient with respect and compassion; the same way I treat my own family. 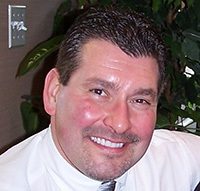 Since the completion of my formal education, I have advanced my knowledge of current dental practices by serving as anAssociate Professor at the University of Illinois and by participating in local study clubs, attending more than 500 hours of continuing education programs and affiliating myself with various organizations. I am extremely excited to offer athletic mouth guards not only to professional athletes like the Chicago Blackhawks hockey team but also to local high school athletes. I have provided mouth guards for the Hinsdale Central High School girls’ Lacrosse team as well as the boys’ Hockey team . My affiliation with various organizations committed to the protection of our athletes has allowed me to pursue my passion, engineering and designing the most comfortable and protective mouth guards available. I grew up in Olympia Fields, IL and have always resided in and around the Chicago metropolitan area. My wife and four children spend as much time as we can on the water participating in water sports and boating. In the winter, we enjoy skiing and attending Chicago Blackhawk hockey games.